Her friends call her “the atheist who went to heaven.” Nancy Rynes shares her story of how an extraordinary near-death experience completely changed her life. She’ll share some of the messages she was guided to bring back with her, and how we can make our own lives a bit more like Heaven while we’re still here on Earth. 12:00 - The hardest part of leaving "the other side"
Nancy Rynes is a leading voice for personalizing the wisdom of Near Death Experiences (NDEs), developing our heart-centered intuition, and living a life of inspired creativity. Known for her fun, lighthearted, girl-next-door demeanor, Nancy teaches others how to live a more purposeful, joyful, and Heaven-inspired life. As a scientist and corporate trainer, for more than two decades Nancy aligned herself with the skepticism prevalent in so much of the scientific community. She remained an atheist until her life-changing bicycling accident and near-death experience (NDE). Now Nancy is an avid spiritual seeker and practitioner of compassion, kindness, contemplative prayer, and being the change we wish to see. Drawing on Heaven's transformational wisdom learned during her own NDE, she integrates the teachings of love, compassion, kindness, gratitude, and joy that form the foundation for a contented, meaningful life. Nancy’s book Awakenings from the Light gives the reader concrete examples of how to make Heaven's wisdom a very real part of life on Earth. 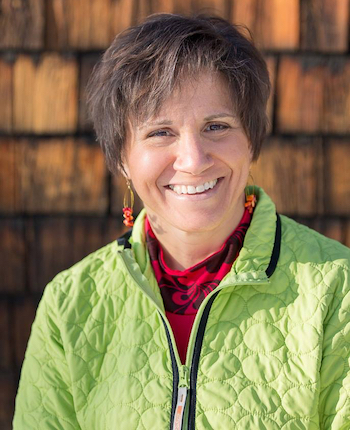 She has been a featured speaker at the IANDS Annual Conference, the "Shifting Your Reality" Conference, and with Eben Alexander at The Vail Symposium. For more about Nancy, visit nancyrynes.com.